A commuter train traveling at high speed ran through a crowd on the tracks in northern India on Friday, killing at least 50 people, state officials said, making it India’s worst rail disaster this year. 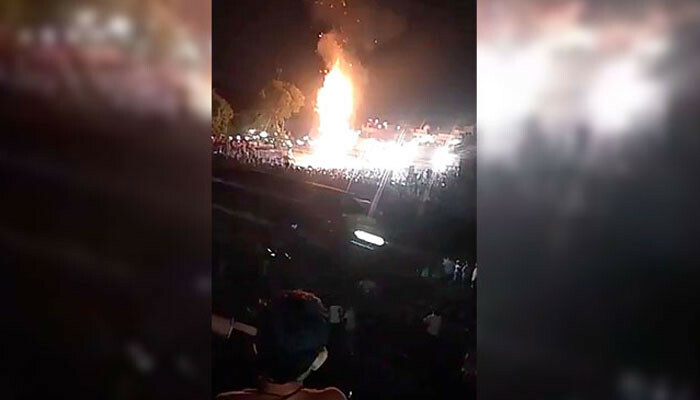 Video from the scene showed that hundreds had gathered to watch the burning of an effigy as part of the Dussehra festival celebrations, when a commuter train ran through the crowd. “We have 50 confirmed dead. The toll can rise,” State Police Chief Suresh Arora told Reuters, adding that emergency officials were trying to determine the extent of the disaster on the outskirts of the city of Amritsar in the state of Punjab.